Pilot shortages, skills deficits these are words that describe the stark reality that faces aviation today. 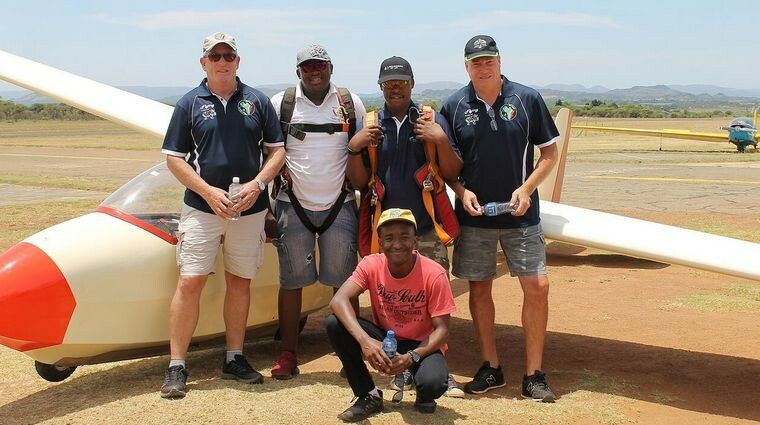 The Aero Club of South Africa has identified this and has been working since 2010 to transform the realms of the skies from its exclusivity into a place of learning, growth and knowledge for all with a focus on the historically disadvantaged youth of South Africa. On Saturday 1 December a very special event took place at Brits airfield, the home of the Transformation and Development section of the Aero Club. 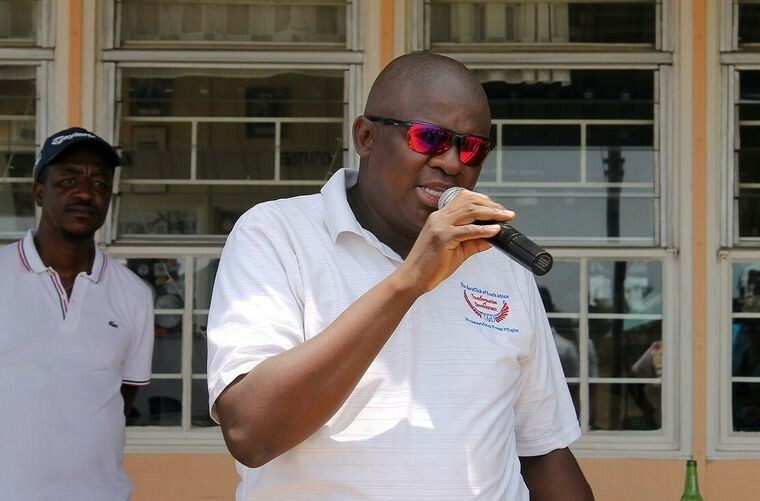 Enter Daniel Ralefeta, the head of the Transformation and Development section of the Aero Club. A man with heaps of energy, energy that would put most 20 year olds to shame! The Transformation and Development section sourced a 1960's vintage Schleicher KA7 with serial number 695. The glider had recently been refurbished and is in nearly new condition. 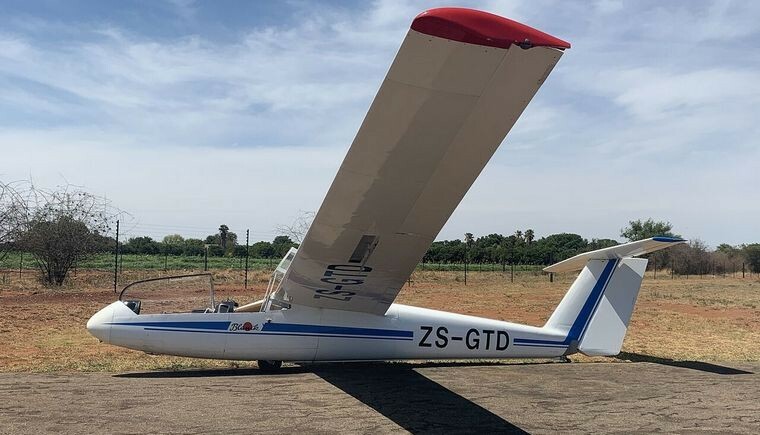 The glider will be used in association with the resident gliding club, Kranskop Gliding Club, to train and develop future aviators. 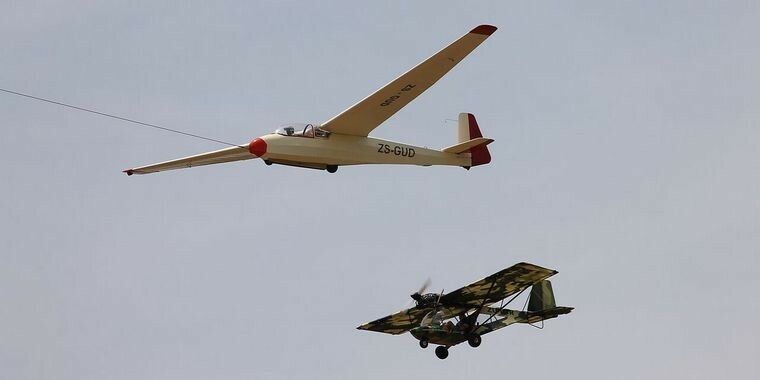 Gliding is a relatively inexpensive type of flying, and it has many benefits at ab-initio stage. Gliding will build the foundation upon which these aviators can build long and lasting careers. Other than that, the gliding community is just that, a community. 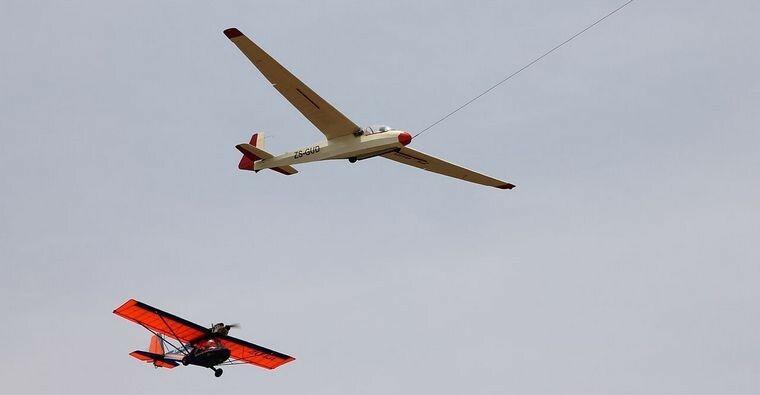 Where mutual participation in airfield activities is encouraged and where the older generation of aviators can be seen investing in the young ones to follow. 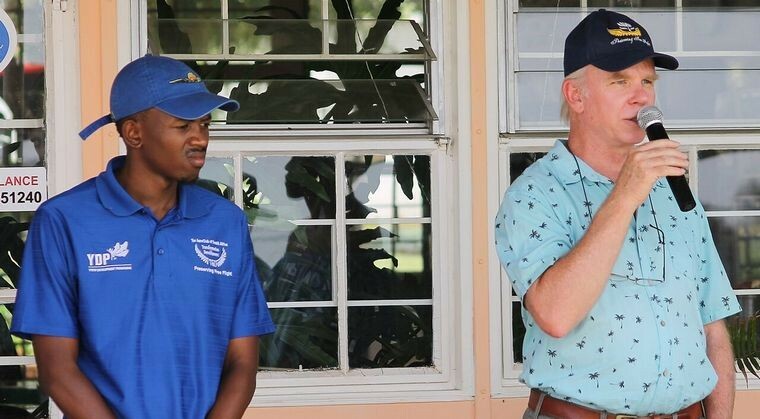 Rob Jonkers, the Vice Chairman of the Aero Club and Chairman of the Power Flying Association mentioned the importance of developing future aviators and the exciting times ahead in South African aviation, during his address. This being especially relevant with the Centenary of the Aero Club coming up in 2020, with many sport aviation related events being planned. This T&D initiative should be the spark that ignites the passion in recreational aviation to take part in events on the world stage. The inauguration of the glider, ZS-GUD, was a grand affair! 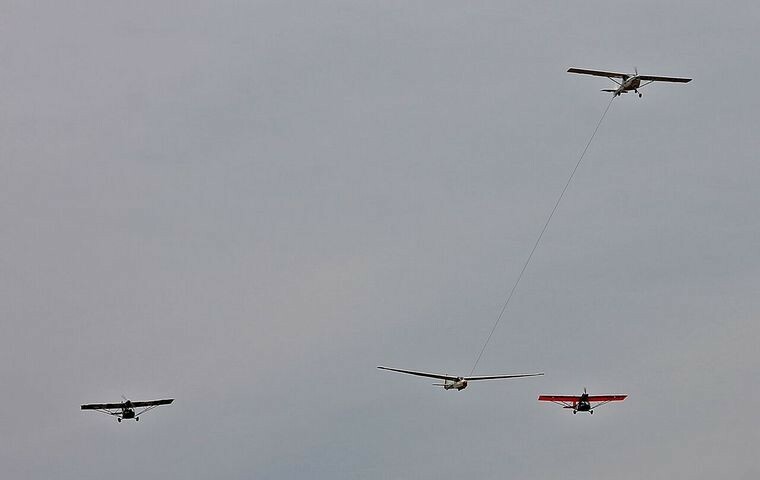 The glider was towed aloft and the formation was flanked on either side by Bat Hawks from the Silver Creek airfield. As the formation approached, all present was asked to be upstanding for the singing of the national anthem. After the formation fly-past, the formation broke away and the Bat Hawks as well as the tow-plane returned and landed. 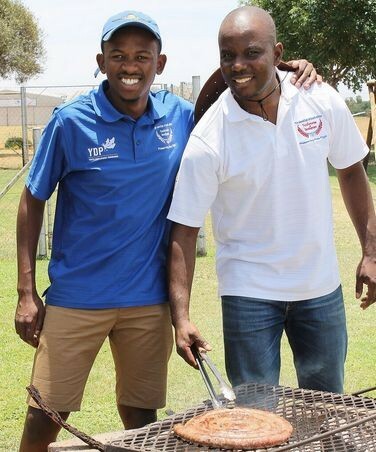 An elated Daniel and Lt. Col Rammy Molebaloa emerged from ZS-GUD with the biggest smiles that you could imagine. Daniel reported that the glider performed perfectly and that she is 100% ready for students to take her aloft. During his address, Daniel thanked all the parties that made it possible for the Transformation and Development team to have the glider ready for action, in particular Arjan Schaap. 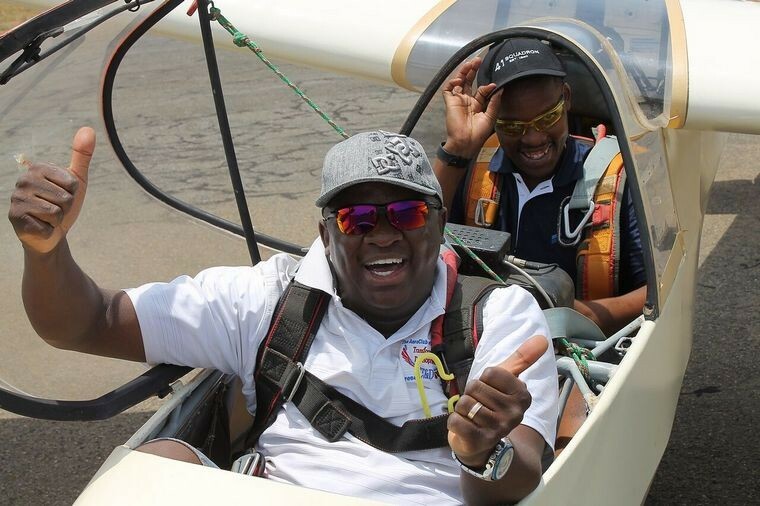 He also remarked that it was possibly some of the most challenging flying he had done to date. He also thanked his wife, Mahlatse, for her support during the process. Formation Team: Front - Simon Tladi (Tug Pilot), Standing left to right: Shaun Cronin, Daniel Ralefeta, Lt.Col Rammy Molebaloa, Louis Jordaan. At the end of the day, Daniel arranged for me to take my first ever glider flight. I must admit that I strapped into the glider with some trepidation. It turned out to be one of the best flying experiences I have had. We spent about 40 minutes airborne, which I am lead to believe, is quite long in glider terms, hunting for thermals. I can recommend a gliding experience as a must for any power pilot. A flying discipline, I will likely pursue in the not too distant future. Thank you Daniel! As I got in my car to leave the event, I reflected on the day. I interacted with so many bright young minds. Their eyes fixed on the sky, looking for their opportunity to take to make their mark. Many of them with aspirations in the aviation world not limited to being pilots. Engineers, designers, air traffic controllers, clothing designers focused on aviation styled clothing. These youngsters have their eyes on the prize, the world is their oyster!